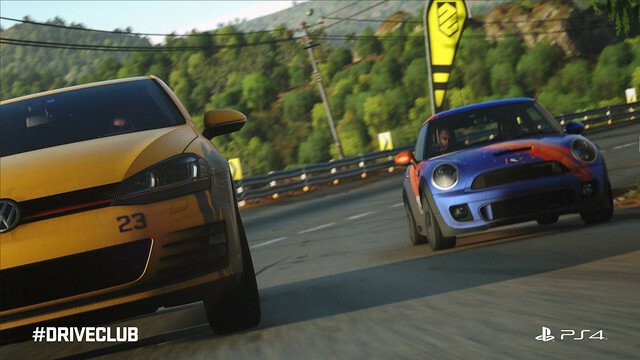 It’s Gamescom 2014, which means we’re sharing a new DRIVECLUB trailer with you all! 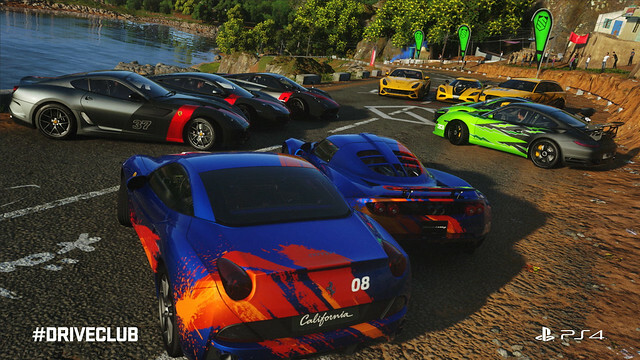 This time, we’re showing you how challenges bring the world of DRIVECLUB together to prove who’s got the skills to earn fame for their club. 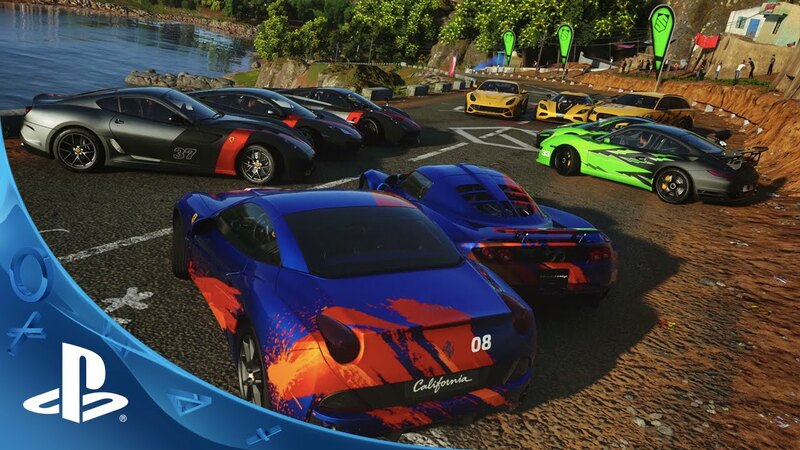 DRIVECLUB is all about enjoying the thrill of the fastest and most exciting cars on the planet, sharing the fun of driving them in stunning events and challenges that you set-up with friends. It’s not just about crossing the finish line first – although that will net big rewards for you and your club – there’s a lot more to play for in every race. Earn big points for driving with flair or expert precision. Earn accolades for each of your cars and club. Try and beat face-offs for drifting, speeding and nailing the racing line. Everything you do earns you fame, which helps you unlock new cars and liveries for you and your club. When you do cross the finish line, you can start something new with your friends by creating a challenge. Who you include is up to you, but it pays to get as many drivers and clubs involved as possible, because the rewards become bigger when more people take part. You can even set up the challenge so that everyone involved can invite the drivers and clubs they want to join in, sparking new friendships and rivalries and giving your challenge the chance to go viral. In this video we asked our friends across the PlayStation family to get involved, so keep a look out for friendly faces from Naughty Dog, Media Molecule, Guerrilla Games, Santa Monica Studio, XDev, SCEE and of course Shuhei Yoshida. So check it out (again!) and start thinking about who you will play DRIVECLUB with – and share this trailer with them so your club is ready for launch on October 7th. Enjoy all of the excitement that comes out of Gamescom everyone – there’s more to come from Evolution Studios at the show! I want to drive a club. Not into the fact that Driveclub is being advertised as a racing game where it “doesn’t matter” if you get 1st or not or if you’re skilled or not. Racing IS about skill. But anyway, I AM into Driveclub because I love great racing games – I’ll be buying this game for the competition + to STRIVE for 1st place, not to see what my drifting score is around turn #5. The challenges are fun, but just don’t forget that there are real racing fans out there too Evolution – extra features are a nice part of this racing game but coming in 1st should be the ULTIMATE prize/focus of marketing and the focus of racing gamers! For example: I would love to see a video that shows us how the LEADERboards work… the racers/clubs that are very competitive and actually want to see what racer or team is #1 in the Country/WORLD should have an area where they can truly find out who the best is. Look at the PS2 game socom 2 to see a PERFECT leaderboard / ranking system. Can we see who the best clubs are in the whole world, and do serious tournaments that will affect our ranks on the leaderboards, to find out who the best racers are? Are there time attack scores/stats so we can see which racers/clubs have the top overall times for each track? Do top times on these tracks affect our place on the leaderboards? These are the things I want to see most. The game looks GORGEOUS though and I like the balance of the handling, arcade and sim mixed together carefully it seems. Can’t wait for October 7th!!! Weather, In-Car view, environment/car details….ALL GORGEOUS. I think this game is going to surprise a lot of PS4 players by how good it looks. PS: I love Porsches but that Pagani Huayra is made by the DaVinci of cars. @6: It does matter, but it’s not EVERYTHING that matters like in 100% of other racing games. If you don’t like it play something else. 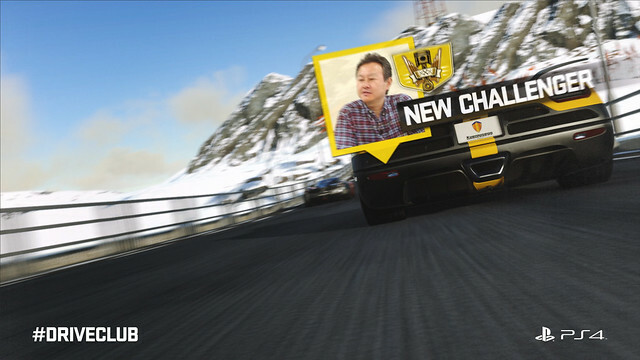 I like that about DriveClub, I don’t want to hit a road block just because I can’t get first. I want to be able to make progress for doing good in other things as well. I am waiting patently for this game. But as more of a solo driver, the focus on clubs and multiplayer is a bit worrisome for me. Dat racing wheel! Vroom shakalaka vroom! I would love this racing game but I need my G27 Steering Wheel to work on my PS4! PS Plus Demo Edition, here I come. @ juggalorider: There is a PS+ Edition that all PS+ members will receive for free at launch, which will include basically 1/5 of the full content. 10 cars and 5 tracks, or something like that. For $50, PS+ members can purchase an upgrade to the full, unlocked version of the game, with no expiration on it (like they originally tried to scam users on). Or for $60, you can purchase the full retail version of the game instead, whether you’re a PS+ member or not, though you will need PS+ to play the game online. While you should be able to play the game normally and both compete and earn trophies in any version of the game (as well as the platinum being attainable with only the free PS+ Edition), they have said there will be micro-transactions in the game, though I don’t think they’ve gone into specifics about what they will entail as of yet. I think this is going to be a great racing game. So far so good for everything I’ve seen about this game. @ 5 oo7PorscheMGS – I couldn’t agree more. @ 8 butcherknife – I agree….I’m in the same boat as you dawg. Where is the Logitech G27 support?! Gran Turismo has supported the g25 & g27 on every iteration. Sony needs to get on this and support the G27 or they are going to lose me as a customer!